The 2015 Summit is Declared a Great Success! We had a FANTASTIC time at The Summit for Prosperity Economics Advisors, our annual event held October 7-10, 2015. 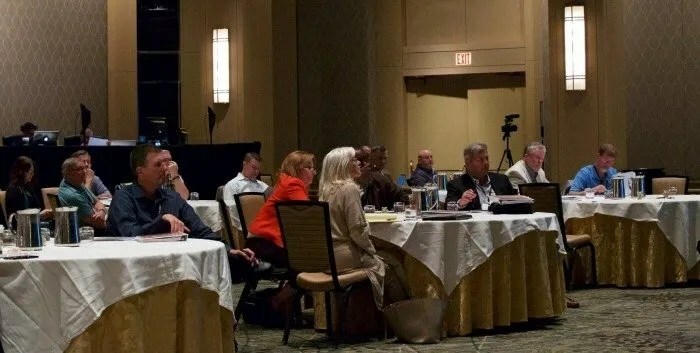 About 40 advisors, speakers and team members gathered in Scottsdale, AZ to learn how to help more clients in more ways. 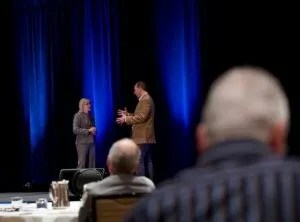 The opening session with Kim and Todd, in which they engaged the audience in a discussion about Prosperity Economics and also the many things advisors had come to learn during the event! Jordan Adler’s session that got us DREAMING and sharing the dreams that we are committed to creating in our lives and business. The lovely and inspiring Tammi Brannan who compelled us to re-think how we can remain in our zones of genius as much as possible. Top producer Phil Bodine’s wisdom and passion for the business. Todd Langford’s honesty about our industry and the “whole truth” of his calculators. Rick Randall from NNEPA.com and his fresh approach to estate planning. The marketing panel and Kim and Kate’s “Automatic Attraction” presentation that revealed the content marketing program that is working for Partners4Prosperity. A thought-provoking session with several speakers representing alternative investments worth considering for our clients. Our closing session sharing of all that was learned, the highlights for each advisor and what we plan to do with what we learned! The quality of people that attended The Summit and the many opportunities to learn from each other, both during the sessions and during the evening receptions and our night out on the town. The incredible food and service of The Phoenician, also our top notch event team from Red Elephant. First I’d like to congratulate you on executing a tremendously successful SUMMIT. As one of the participants, I found the content and connections invaluable! Thank-you so very much for creating this event and for letting me be part of it. Sincerely, Jim Small. And perhaps the best highlight was hearing that Kim and Todd were committing to the next Summit upon the enthusiasm, encouragement and pleading of attendees! It was inspiring to know that our attendees got SO much value out of the event. With your help, the Prosperity Economics Movement is a movement in momentum. 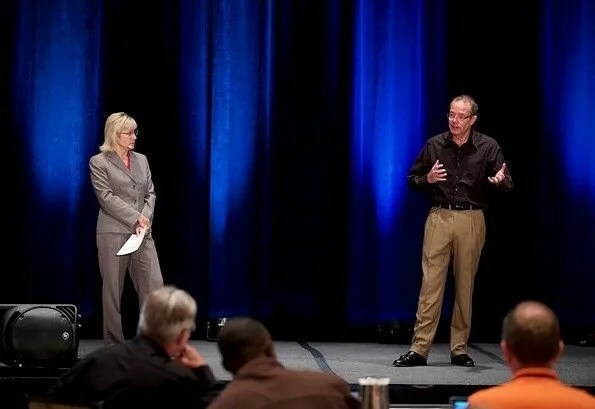 Kim Butler and Todd Langford on stage at The Summit for Prosperity Economics Advisors, 2015. Soon we’ll be announcing dates and details for next year’s Summit! We hope you’ll join us in 2016. We’ll be in a new city and venue and it promises to be our best Summit yet! Some of the 2015 attendees enjoying the morning speaker.